I’m about to forward an idea that won’t sit well with some fans of Star Wars, and particularly with fans of Solo: A Star Wars Story. At least one person will be nonplussed. Let me be clear that I’m a big fan of the character L3-37. She’s a dynamic, funny character created with an eye toward thinking of robotics as we understand it today, as opposed to the retrograde treatment of programming we see in The Force Awakens and The Last Jedi. I sat on a panel at DragonCon to discuss the question of Droid Sentience. I called out the “vague racism” of the treatment of Droids in Star Wars years ago. We’ve discussed Droid Sentience on Aggressive Negotiations, the podcast I cohost over on The Nerd Party. It’s a fascinating topic to explore. It’s a fascinating time to be alive. I’ve gone back and forth on the nature and limits of artificial intelligence. Some days I lean a little Kurzweil on the topic, others I lean a little Tolkien. I think that’s fairly common. But I started thinking about it again. Like any other sensible person, I can be persuaded and I can be convinced. But I had a further thought while listening to the superb soundtrack for Solo: A Star Wars Story. The track Reminiscence Therapy, which is the cue that takes us into and through the maelstrom as the Falcon is pursued by TIE Fighters, took me back to the moment Han decides to go into the maelstrom, and I realized that there was a key here to the idea of what will separate humans from machines. It started with a simple realization. This was an insane decision, and a terrific sequence. 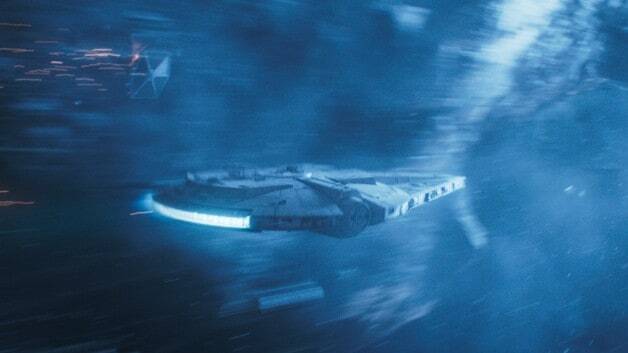 L3-37 Wouldn’t Have Attempted the Shortcut Through the Maelstrom that Han Took in Solo: A Star Wars Story to escape Kessel. This is where I could get in trouble on the philosophical front with someone who fancies a debate about the seemingly paradoxical nature of Free Will. Fortunately, the few of you who read this (and aren’t SEO bots) aren’t inclined to argue points. I’ll gladly just dust off my soapbox and wax philosophical then. If I can franchise hop here to start the journey, the nature of intelligence was explored in Star Trek: The Motion Picture quite beautifully. If you recall, when Spock mind-melds with V’Ger, we’ve seen that V’Ger has been to a machine planet. Yet V’ger cannot feel. Despite the stultifying intellect, V’Ger has no context for friendship and love. It’s core to Spock’s own journey in the film! When we first meet him, he’s working to “purge all emotion” from his self. I am completely aware of the paradoxical nature of that claim, which is belied by Spock’s intuitive sense of V’Ger through the cosmos. After mind-melding with V’Ger, Spock tearfully admits to the limits of pure logic, which is supposedly strict adherence to an “intelligence-only” lifestyle. V’Ger is missing passion and feeling. V’Ger is missing wisdom as well, since it feels the need to basically continue its programming despite its massive “evolution” since its first beginnings. Passion has impact. It sets us apart from machines. We’re not simply intellect. It’s in the interest of some to convince others that we’re simply meat machines, firing along on electrical impulses that are the extension of deep-seated “programming” that merely gives the impression of Free Will. That’s not right. If it were, no one would ever move outside the norms, or challenge existing systems. Life is defined by chaos, not order, no matter how much Mark Zuckerberg or HubSpot want to reduce people to simple impulses and mathematical factors. Where the debate gets murky is the fact that artificial life, as portrayed in movies and other media, has the illusion of Free Will. But it is an illusion. These characters exist in the main to explore the human condition, as they’re written by humans creating human stories for other humans. In the real world, as much as a machine may seem to have Free Will, it won’t be the real deal. It can appear that they do because people have a perception bias since they live with Free Will. It’s about potential. I know that there are people who get stuck in ruts, who make the decision to follow the expected and never deviate. That doesn’t mean they don’t have the ability to decide against their own best interests, nor does it mean that they won’t make a snap decision that defies expectation. That’s why Han, when faced with the parameters, made the one decision that had the highest probability of failure. Instinct is the first step in human development, and intelligence comes later. A child is pure instinct, pure id. They don’t have the intelligence that will come later, nor the wisdom of experience. L3-37 would still be ruled by logic and self-preservation, core to the original programming parameters laid into her matrix. She’d be ruled by these things because the intelligence came before any sense of instinct, not vice versa. The sensible thing was to dump the cargo, get boarded, and take your chances. Han Solo – a truly human person – was willing to take that insane chance just to get what they want. Sure, that can be a bad thing when indulged too often. In fact, Han makes the decision for the people who would have voted against it. That can open a whole other debate. But great leaps are made by those doing things that seem “crazy” when weighed against the odds. Maybe I’m a Romantic. Maybe my wavering between belief and disbelief in the virtues and potential of AI will ensure I’m blasted into my base chemicals to fill the feeding trough of the survivors. But I continue to believe, to my core, that Free Will isn’t merely the artificial construct of intelligence. I think people have the thinking on it flipped. We are born with Free Will. It’s intelligence that gives us our parameters. It’s an important piece of the puzzle, but it’s still a piece. People need to stop treating it as the whole picture. 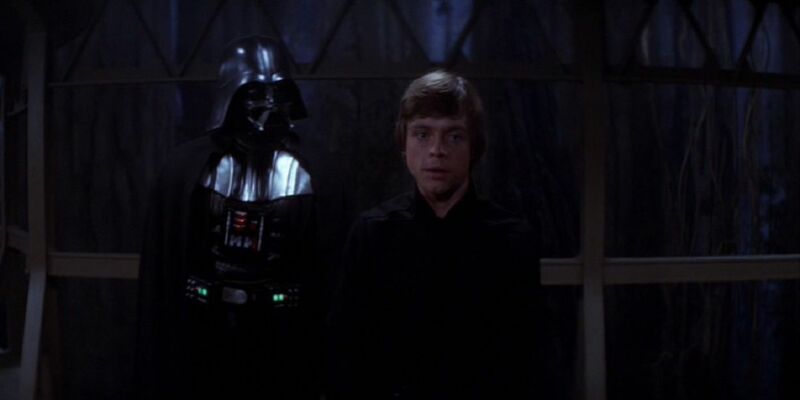 Luke learned the balance between intelligence, balance, and wisdom that even Obi-Wan and Yoda forgot. And ironically, Vader was “more machine than man” but still more man than a machine. Ignore the explainer videos, just read my image captions. Previous Previous post: Why Not Call It Something Other Than “The Dark Side”?